Hit the trail with llamas and you might just find yourself falling in love. These quirky creatures have a way of winning over your heart with their smiley faces and gentle, loyal ways. Don’t tell your significant other, but a llama can seem like the perfect mate: strong, sensitive, and low maintenance, with long eyelashes and an endearing grin. 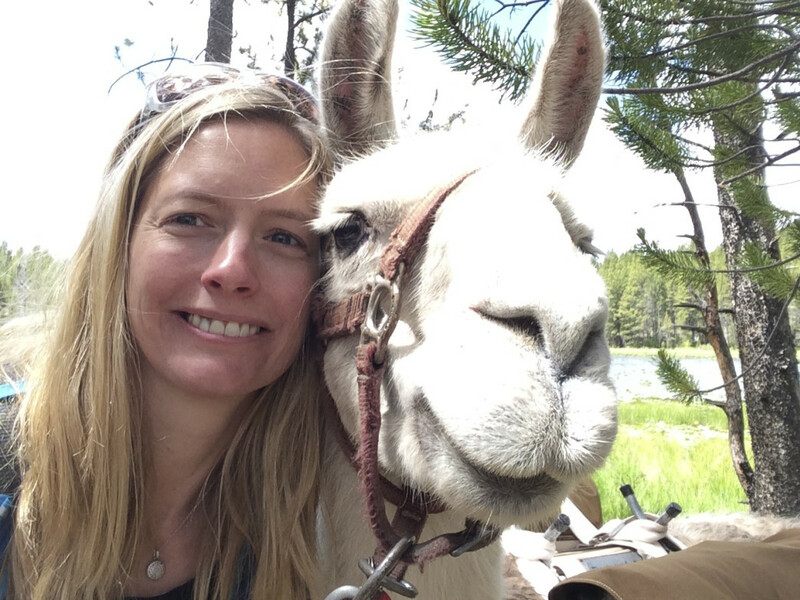 And leading a llama is so easy, you might forget your four-legged friend is there—until a waft of hot llama breath hits your neck, an olfactory experience akin to burying your face in an alpaca sweater. The best part is, with llamas along, you can bring an indulgent supply of gear compared to backpacking. A llama can carry up to 100 pounds, so toss in that extra bottle (or box) of wine and pack an extravagant meal. Heck, you can even cart a standup paddleboard if you’re so inclined. 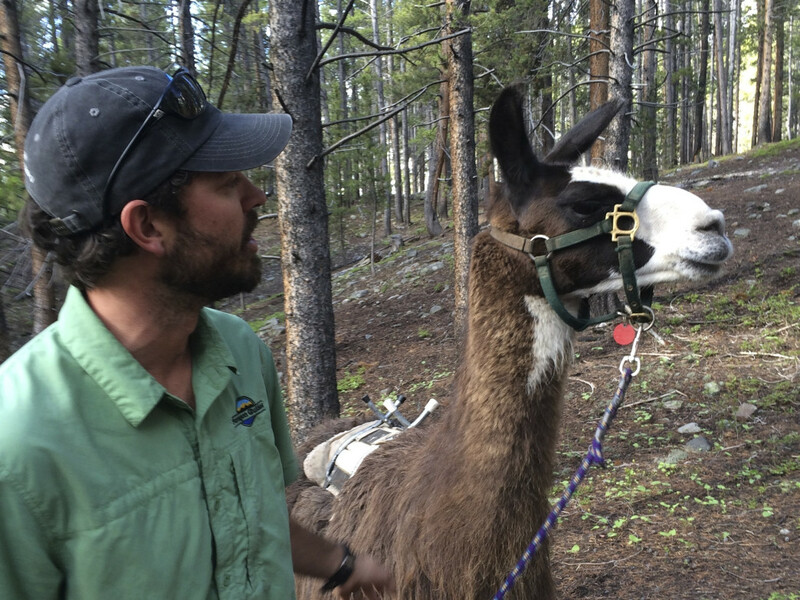 Several operations across the state offer llama trekking trips, or you can lease a llama and do it yourself. 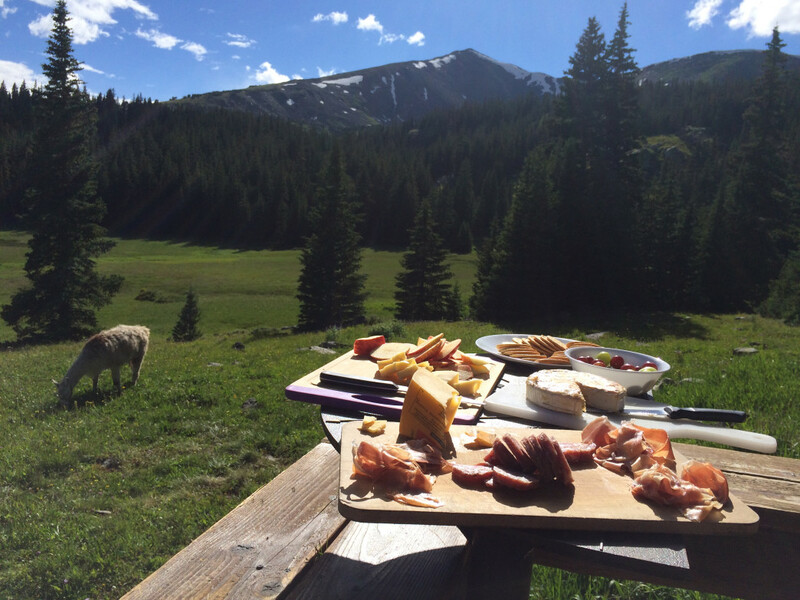 Choose from day trips, backcountry camping, or a journey to one of Colorado’s huts. Here are some options to help you plan. 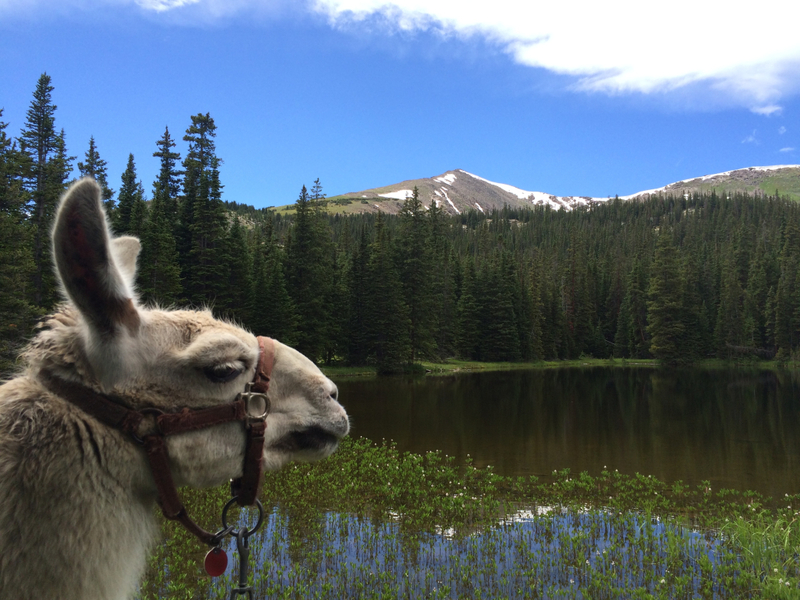 Whatever you choose, follow our handy tips for your adventure llama trekking in Colorado. They might surprise you. 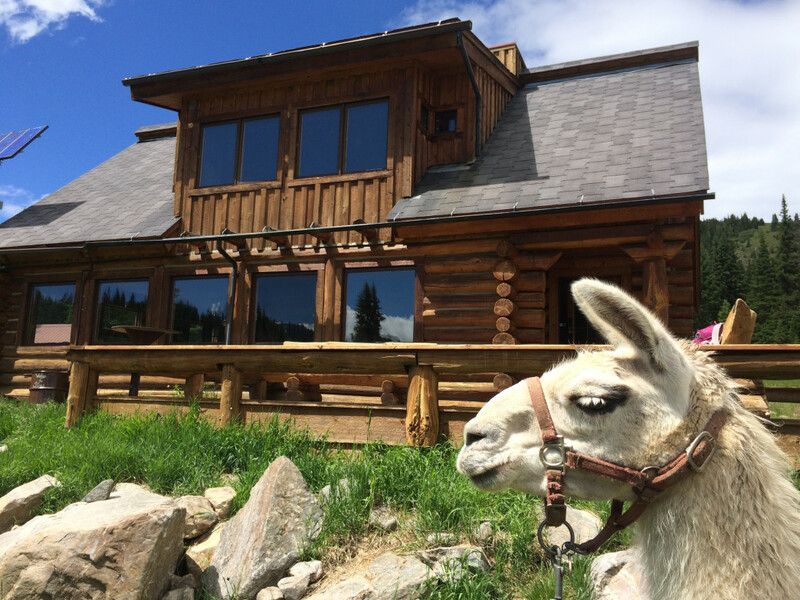 Paragon Guides in Vail has been leading llama trips since the early 1980s. Buck Elliott founded the business, and his affable son, Will, helps run it. 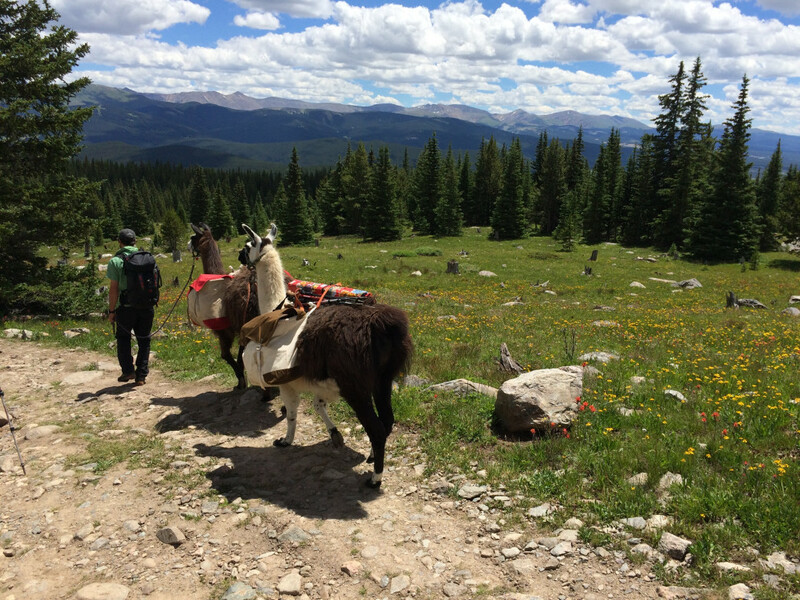 Paragon offers guided wilderness camping trips or hut-to-hut trips with llamas. You can also lease a llama and do it yourself. If you just want a taste of llama life, opt for Take a Llama to Lunch , a half-day trip. San Juan Mountains Llama Treks , based in Cortez, runs trips in southwest Colorado. Choose from day treks, overnight guided trips, or a llama drop camp, where llamas and a wrangler haul your gear to your camp, then pick you up later. Redwood Llamas in Silverton has a huge permit area, stretching between Telluride, Ouray, Silverton, and Durango. This outfit offers seven set multi-day llama trips between July and September, as well as day trips. You can also lease a llama for a day, or a whole season if you’re really keen. Spruce Ridge Llamas in Salida designs custom trips for groups of two to six, so you won’t be with anyone you don’t know. If you go in the fall, Spruce will take you on a spectacular foliage trek, venturing to the best places to leaf peep. Day trips are also available. Antero Llamas in Salida can hook you up if you’re just looking for a llama to rent. They’ll provide Llama 101 if you’re a first-timer. Buckhorn Llama Company out of Masonville is the place in northern Colorado for backcountry lovers to lease llamas. Sold on llama trekking? Before you head out with your four-footed friend, it would behoove you (pun intended) to prepare yourself for certain eccentricities of the experience. 1. Don’t bother trying to stop taking llama photos—it’s hopeless. Let’s face it, llamas are ridiculously endearing with their cute yet odd faces and perky ears. Many people report not being able to resist the urge to take one more llama photo. Give in and take another. Better yet, make it a selfie and hashtag it #LlamaSelfie. 2. Don’t let your llama get lonely. Llamas are pack animals that get anxious when separated from their friends. Lead your llama out of site of the pack, and he might let out a llama whine—a hum that’s a cross between a moan and a moo. When this happens, it’s best to let the llamas regroup. 3. Be patient while a llama pees. It might take 10 minutes. Seriously. Llamas don't pee often, but when they do, they make it count. Go ahead—time it. It will give you something to do while you wait. 4. Get out of the line of llama spit. Llamas get a bad rap for spitting. While it’s true they sometimes hurl foul-smelling green goo, the target is typically another llama, not you. The best advice? If a llama starts posturing at another, get out of the line of fire. 5. Look out when your llama is leaping. Llamas can easily clear logs and streams in a single bound. If you’re leading a llama, get out of the way so your llama doesn’t land on you. Beyond that, just relax and enjoy the adventure. After all, it isn't every day you have such a friendly creature schlep your gear for you.